When it comes to Christmas Markets, holiday decorations and big celebrations, Germany certainly doesn’t hold back. With festive activities for all ages and stunning decorations being strung across neighborhoods, some destinations shine with the holiday spirit more than others. Nothing rings truer than in some of Germany's most magical cities. The city’s streets, houses, churches, windows and balconies twinkle with thousands of lights and decorations – each as original as the next. Discover how these cities prove there's no place like Germany for the holidays that brings back the old fashion type of Christmas and makes it so magical. Nurnberg's (or Nuremberg) claim to holiday fame is its massive Christmas market of children's toys and gingerbread. The charming old 14th century fountain is said to bring good luck to spin the two brass rings. The world-renowned Christkindlesmarkt seems as though it sprung from the dreams of children, right alongside the sugar plum fairies dancing in their heads. 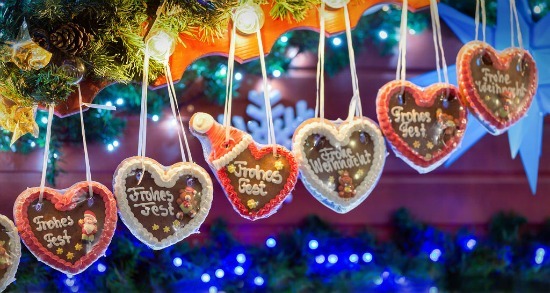 Dating back nearly 400 years ago, the Christkindlesmarkt is charmingly traditional, featuring hundreds of stalls selling ornaments, homemade gifts and nutcrackers. You really need to come with an empty suitcase to carry all of your treasures back home with you! As the scents of fresh baked gingerbread and roasting chestnuts fill the air, be sure to grab a steaming cup of Glühwein – German mulled wine – to take that cold chill off. 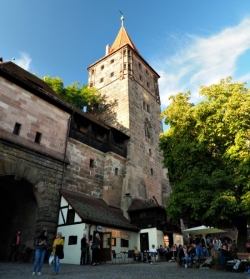 While any number of delightful souvenirs and holiday treasures can be found at the markets, their beauty and history have made them destinations unto themselves, with tours and river cruises visiting a selection each year, to cities like Heidelberg, walled medieval city of Rothenburg with the famous Kathy Wolfhart's Christmas stores and other delightful cities full of culture, history and castles so magically lit up to surprise the whole family. The holidays excite the world in cheer, and there’s no place better for capturing a bit of the season’s joy for yourself than in Germany’s great cities. Whether it be a River Cruise, Group Tour where you leave the driving to someone else or vacations on your own--there are so many options for you to discover.